Rescue, Rehab, Boarding, Speaking, Farm Yoga and More! 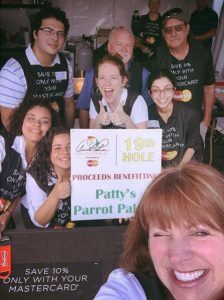 Patty’s Parrot Palace was started after the founders rescued 13 birds from a single home in which they were found locked in cages in a serious state of neglect. They were brought to the home of Trish Koile and rehabilitated back to relatively healthy conditions. 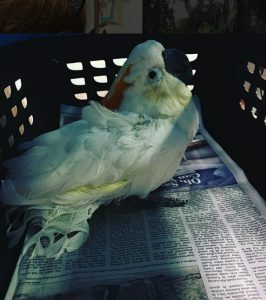 As other people heard about the rescue, Trish was called upon to rescue birds from other situations in which pets were maltreated or simply neglected and left in their cage indefinitely after the initial fun of owning a tropical bird wore off. Some expected their birds to be more talkative but were disappointed when they found that a lot of training and patience can be involved. 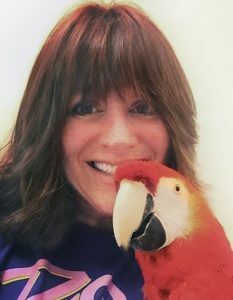 A lot of folks don’t know that a lot of these birds can live as long as humans, and sometimes, when owners’ circumstances change, the birds are handed over to a friend or relative that does not understand the complex needs of these exotic pets, often leading into a less-than-optimal environment with little—if any—human interaction. 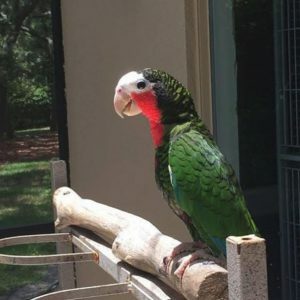 With so few organizations that provide similar services, Patty’s Parrot Palace became widely recognized in Central Florida, written up in the papers, and appearing on the news, which led to even more people reporting birds that needed to be rescued for various reasons. In many cases, loving owners themselves approached the Palace knowing that their beloved pet deserved more time and interaction than they were able to provide. Whatever the case, displaced birds are welcomed at the non-profit bird sanctuary in DeLand, Florida. Care for each new bird is expensive, though, and there is never a surplus of funding. Every dollar counts toward the food, toys, vet bills, and facilities provided for these feathered friends. Individual donors and corporate sponsors are desperately needed to help fund this ongoing work. As far as the aviary residents are concerned, though, nothing could be better! They come to heal and rehabilitate in what seems to be a tropical vacation resort, staffed by volunteers that show them love and affection and spend plenty of time interacting with each one. 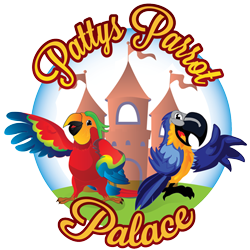 As a tropical vacation spot for beloved pet birds, Patty’s Parrot Palace provides temporary boarding services while a bird’s owners are away from home, or otherwise indisposed for short periods of time. Various boarding fees are assessed depending on the size and type of each bird to cover the expenses for proper care. Of course, the lavish attention, interaction, and love that is shown for each boarding guest at the Palace is priceless! If you are a “parront” and need a place for your baby to stay for a while, please contact us with your specifics to receive applicable rates. 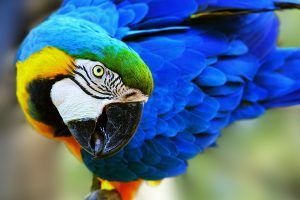 At Patty’s Parrot Palace, we understand better than anyone how certain birds have certain behavioral tendencies and personalities that are difficult to handle for their owners. A bird may be have been traumatized or frightened by something that causes him to be defensive. Some birds, even playfully, may constantly bite the members of their family who care for them. Whatever the behavior, or personality, we have been very successful with expert behavior counseling and training techniques to help reform even the most ornery problem child! For more info, contact us with some of the specific problems you are experiencing. 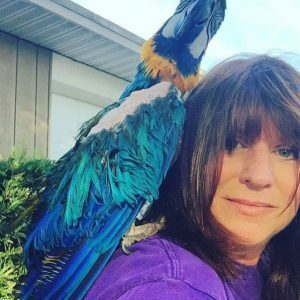 Patty’s Parrot Palace founder, Trish Koile, is often invited to speak at events and venues where birds are the topic and expertise is required. Whether the need is for a basic class on the care and feeding of tropical birds at a pet store grand opening, or an advanced workshop on bird training at a conference, or even an exhibit with an array of exotic birds for a scholastic event, Trish Koile possesses a wealth of knowledge and provides practical, how-to information on every aspect of interacting with tropical birds. For more light-hearted entertainment, Trish can also share some wild and funny stories from her personal experiences in the building of a growing charitable organization that leaves attendees with an upbeat motivational message for undertaking such altruistic endeavors themselves. Whatever the event, Trish’s exuberant style, sense of humor, and passionate personality is always a hit with assemblies of all ages. To book Trish Koile to speak at for your next function, please contact us with some of your specifics to start a discussion. Ninety-minute, Goat Yoga classes are offered on weekends, usually starting in the late morning. Bring a friend and a sense of humor! 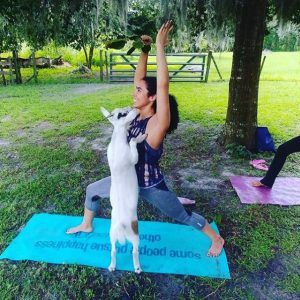 Check our Events calendar for the next upcoming Goat Yoga class, and book your spot online. Only 20 spots per class! 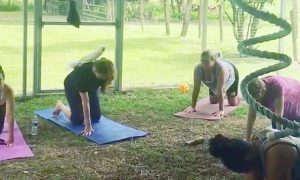 If you think Goat Yoga is a good time, wait until you try Parrot Yoga! That’s right, while you’re getting in better shape, at least one other participant will be engaging you on a whole ‘nuther level! 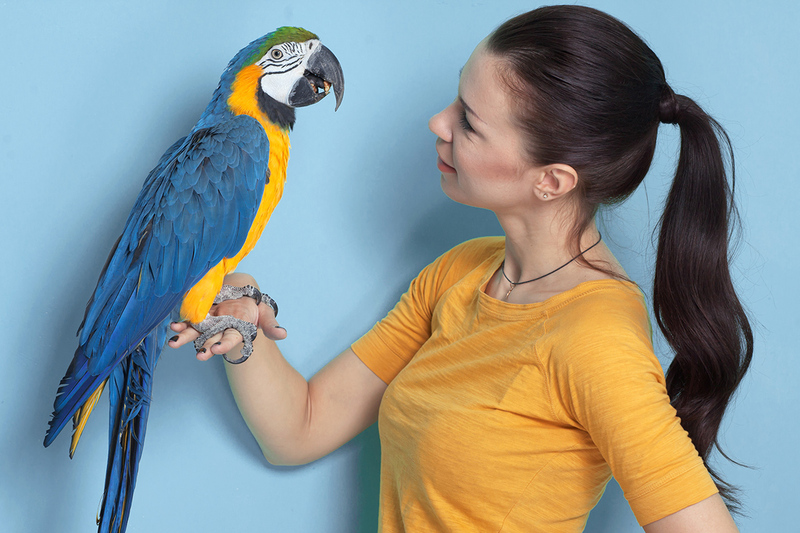 There are moments of Zen where your “parrotner” may simply reside on your shoulder, or he might feel inclined to demand your attention by nibbling at your ear, or fluttering to the top of your head to supervise the workout. He may also start bobbing and dancing as part of his fitness routine, or dramatically express his opinion through emphatic verbal communication! Ninety-minute Parrot Yoga classes are offered on weekends, usually starting in the late morning. If you haven’t tried Parrot Yoga, you don’t know what you’re missing! Check the Events calendar for the next upcoming Parrot Yoga classes and book your spot online. Only 20 spots per class and they fill up! 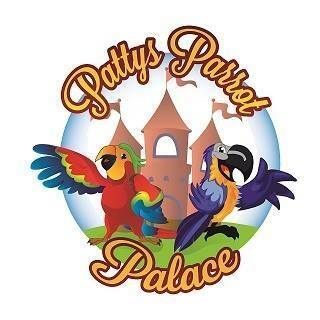 Another thing we do at Patty’s Parrot Palace is host events. Some would say we know how to throw a party! One of the main reasons we host a bash is to raise money for needed upgrades, repairs, or expansions. As fundraisers go, these are ones you want to attend! Other events include appearances at fairs, downtown “dos” or retail locations such as pet stores. We also participate in community events to raise awareness for the cause. Please check our Events page for upcoming events, and you can register here, online, to reserve your space where applicable. Enough about what we do, click below to see how YOU can get involved!